There may only be a simple stoppage in your pipes, or there may be tree roots growing into your sewer line outside. Trust Jimmi The Plumber to give you an honest, knowledgeable assessment and to fix the problem as soon as possible. You shouldn’t have to go without a working toilet for any length of time, day or night. Whether your problem is caused by a faulty flapper, a broken valve, or anything between, call Jimmi The Plumber at (847) 584-3493 and we’ll tackle the problem whenever you need us. At Jimmi The Plumber, our customers have counted on us since 1989. In that time we’ve built valuable relationships with our customers and our community. 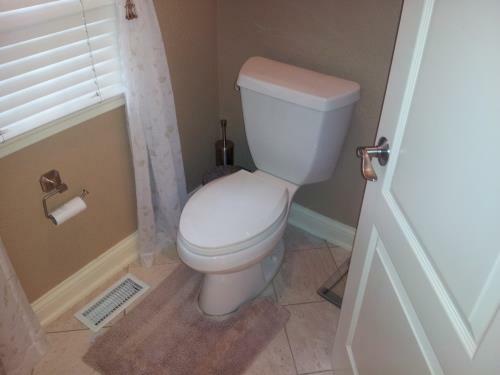 We deeply appreciate the trust you put in us to work on your toilet. We show our appreciation by treating you like a person and not just another paycheck. If your toilet is constantly running, you may be wasting hundreds of gallons of water a month, sending your water bill through the roof. Call Jimmi The Plumber today at (847) 584-3493 and stop flushing your money down the drain!